This trip has been years in the planning. Its origins date back to my first eclipse, in France in 1999, which I watched with cousin David and his wife Karen. We discovered that the next eclipse in that saros would be on 21 August, 2017, which would be their 30th anniversary. The path would travel right the way across the United States, making it one of the most accessible eclipses in history. We would be there, come hell or high water. My husband had long wanted to take one of the iconic train journies that go right across the States, and so we looked at the route of the California Zephyr, worked out where it crossed the path of totality, and the bones of our itinerary were formed. Putting together the various components took quite some doing. It began with the segments of the train journey, ensuring we would be in the eclipse zone with time to spare. Then plane journies were added a few days either side of those, and finally hotel accommodation and car hire at key points were reserved. Wed 16 August, and we began! An early start and a drive to Dublin airport, where we parked at the Clayton Hotel. Cars are packed in tightly here, and it took some searching to find an accessible spot. But it’s much cheaper than the official car parks, and there’s a shuttle bus which ferries passengers to the shiny terminal 2 building. Cases successfully weighed and checked in, we relaxed over breakfast before making our way to the US pre-clearance area. More security checks, and then some finger printing and face photographing, plus some questions about the ESTA – had I answered all the questions correctly? It really is a huge bonus to be able to do all this before flying, and saves hours of queuing on landing. The Aer Lingus flight was very smooth, with a tasty meal, and I watched The Founder, and Going In Style. Having already done our pre-clearance, we arrive at Chicago’s domestic terminal, where our bags appear quickly, and we hop in a taxi to the Freehand Hotel. There is heavy traffic – we could have taken the El train, but I wasn’t too sure where to get off. The hotel is in a good location, but the rooms are very small, with nowhere to store suitaces. We spent out first evening indulging in “Aimless Wandering” by the River Walk. We stopped at O’Briens for something to eat, and to shelter from the heavy rain storm which came out of nowhere. After chatting to the Irish staff, they recommended Big Bus tours. We popped into an Irish pub on way home, where there was a pub quiz going on. I winced as I got the bill – the dollar- sterling exchange rate is painful at the moment. I need tea to start my day, but discovered that the lobby café produced the Worst Tea Ever. I accept that the USA is a coffee drinking nation, but work out that ordering a “hot tea with milk” will get me something close to what I’m after. We found the bus tour stall, and chose the 2 day ticket which included an architecture boat trip. As the at least partial eclipse would be visible right across the states, the whole country was gearing up for it, with special mention at each weather forecast. The Chicago Adler planetarium was giving out free eclipse glasses at the square, but by the time we’d got there they had run out. On the bus tour we stopped at planetarium itself, but the queue for the entrance was rather long, so we just admired the skyline views. We went to Navy Pier for lunch at Bubba Gump, and enjoyed the sight and sound of the Blue Angels rehearsing for the Air and Water show passing overhead. Next door to the hotel is West Town Bakery, where I get something tea-ish for breakfast. Roger tries a Reuben sandwich. We walk to the modern art museum for an exhibition by some Japanese dude – Rog is entranced, but it’s not my cup of tea…. The Hancock tower is round the corner so we opt for the view and drink package. In the afternoon, the Architecture Boat tour is very good – Pat the tour guide most informative. The city is very Gotham-like, and the skyscrapers are amazing. I can’t find a hot dog place I like the look of, so we go for deep pan pizza at Pizzeria Uno. It’s not my favourite, I’m not a huge pizza fan to begin with, but much prefer the thin and crispy style, rather than this overly sweet thick bready base. 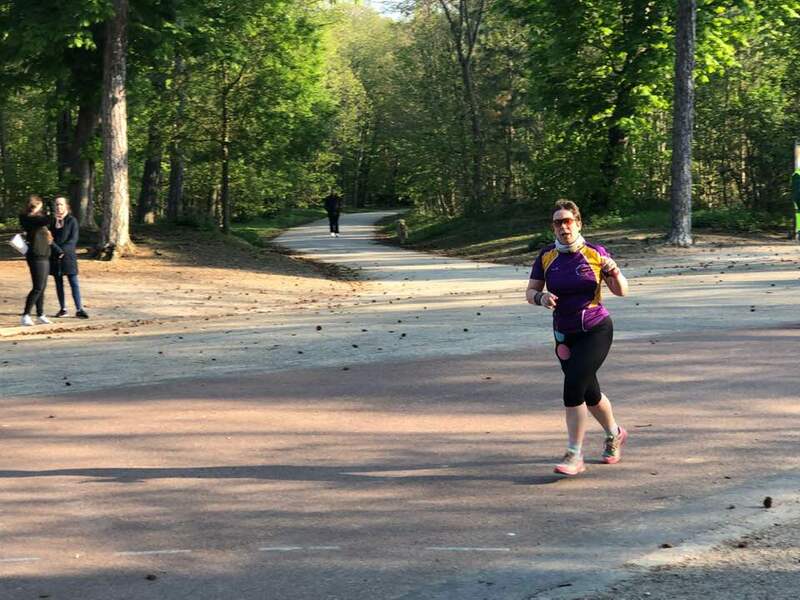 There’s no parkrun in Chicago, but I had planned to do their version organsied by CARA. However, I abandon that idea as the Air Show is on and I’m not sure how to get there, am worried about traffic and getting back in time for the train. I run 5km along River Walk instead, before a WTB breakfast. I’d estimate that more the half the people using RiverWalk at this time of day are fellow runners, and I feel I’m in good company. We take an Uber to Union Station with plenty of time to admire the cavernous space, and vow to rewatch The Untouchables. And I finally get to enjoy a hotdog with everything. It seems a little disorganised – announcements are unclear, and we just line up when told before being marched single file down to the platform. And there’s the train! The next chapter awaits us.